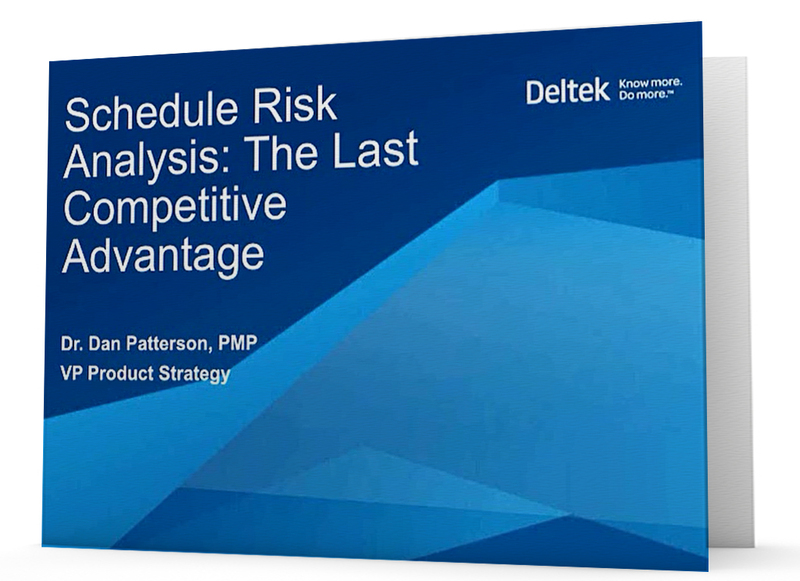 Studies show that failing to implement schedule risk analysis manages to both cost money and leave money on the table. When firms fail to consider risk sufficiently, they find themselves in rough waters, burning resources to keep projects afloat. Meanwhile, firms with any form of a schedule risk analysis process report net profits more than 30% higher than those without one. Download the on-demand webinar, Schedule Risk Analysis: The Last Competitive Advantage, and learn more about the advantages and challenges of schedule risk analysis and gain a few simple solutions to make risk management a strategic decision instead of a fire drill. Strategies to face the top challenges of effective project management.